There are a variety of scales used to assess and determine how far an individual’s dementia has progressed. 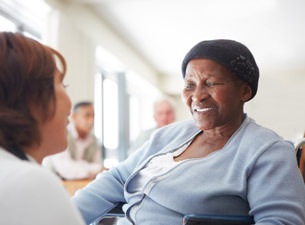 These help those caring for the individual, such as doctors, nursing staff, and at home caregivers understand how to develop a treatment plan, and offers a base on which to judge further assessments on. Clinical Dementia Rating (CDR): The CDR is a five-stage rating scale and is based on cognitive abilities as well as functional abilities. It is more often used in dementia research than between doctors and patients. The individual who is thought to have dementia is assessed in six subjects, and then each area is assigned to each of the five stages. Global Deterioration Scale (GDS): The GDS is the most common scale and is also known as the Reisberg scale after its creator, Dr. Reisberg. It is used primarily to assess cognitive decline and is most relevant for those who have Alzheimer’s disease as some other varieties of dementia may not involve memory loss. The GDS uses seven stages, with dementia being considered at the fourth stage. Functional Assessment Staging (FAST): The FAST scale, also developed by Dr. Reisberg, focuses more on function and daily activities as opposed to cognitive function. It is also broken into seven stages. It is entirely possible for a person to be at different stages on the GDS scale and the FAST scale depending on their cognitive and functional abilities. Dementia Severity Rating Scale (DSRS): The DSRS is a form that is filled out on behalf of somebody with suspected dementia by a spouse, child, or occasionally the individual. It involves a list of twelve categories and the person completing the form is instructed to circle the number beside the response that best suits the individual they are filling it out about. Each response is assigned a number, and once the form is complete, all the numbers are added together. The score then represents the severity of dementia. If you believe you or your loved one may have Alzheimer’s disease or any other form of degenerative dementia, it is best to seek a professional medical opinion. Never rely on the information provided online to make an at-home diagnosis, and instead always bring up your concerns with your or your loved one’s primary care physician. Click here to know how you can manage Alzheimer’s and Dementia with the help of skilled senior nursing care. At The Holiday Skilled Nursing and Rehabilitation Center in Manville, Rhode Island, we offer exceptional support for our residents. With customized care plans, our experienced nurses look after patients as if they were their own family. Our state-of-the-art services cater to an individual’s unique needs and ensure they receive the best care. Our entire establishment is located on one floor, providing easy access for all. 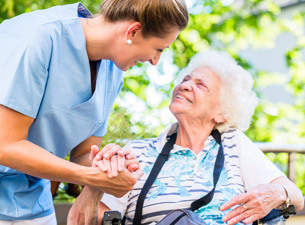 Give us a call at 401-765-1440 for more information about our skilled nursing facility in Manville, Rhode Island, or fill out this online form to book a tour.